The largest city in Kentucky, Louisville, sits on the edge of the sparkling Ohio River. Known for its delicious barbecue, jazz and blues music, and of course, the Kentucky Derby at Churchill Downs, Louisville is a favorite location for visitors from all over the world. This exciting city is also host to the Louisville Slugger Museum and Factory, which celebrates the great American game of baseball. Visitors and residents in Louisville have access to a large selection of great holistic dentists. These professionals are always standing by to care for any dental problem. The Emergencydentistsusa.com website is the right place to begin and end your search for a new holistic dentist in Louisville. Our comprehensive website gives you access to all of the information that you need to make an informed decision about your dental care. Scroll through our convenient listing of Louisville holistic dentists and click on the dental office with services that suit your needs. You can also find things like office hours, driving directions, and even insurances accepted right on the Emergencydentistsusa.com website. Do you need a little more help choosing the right holistic dentist? Just call our 24-hour dentist finder hotline to speak with a caring agent who is standing by to help you select a dentist, set up your first appointment, and even give you driving directions. This service is always toll-free. Remember to bring your photo ID and dental insurance card with you to visit your new dental office. You should arrive at least 15 minutes early in order to have plenty of time to ask any questions that you might have, and to fill out the new patient paperwork. From beautiful race horses to rolling hills, Louisville is a great place for starting a new life. It is also a great place for choosing a new holistic dentist. You can see three of our top Louisville holistic dentists below. Description: Dr. Gill and her friendly staff work hard to make each visit an excellent experience. This full-service dental clinic utilizes aromatherapy, comfortable neck pillows, and warm blankets to keep you cozy and anxiety-free throughout your dental visit. Cosmetic and restorative dental care is always available at Natural Smiles. 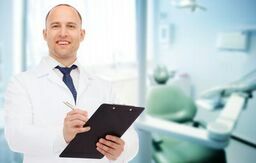 Description: Creating a happy dental home is what makes Dr. Griffin a little different than your standard dentist in Louisville. He refers to his patients as guests, and he offers teeth cleanings, crowns, braces, dentures, and even implants, making this a full-service dental clinic. From cosmetic care to routine mercury filling removals, Dr. Griffin is standing by to be your new dental professional. Description: Taking your first step toward a beautiful new smile begins at Dental Health Center. This full-service dental clinic provides both cosmetic and restorative care for families. Educating patients in whole body health plus bringing out that beautiful smile is a breeze for the staff at Dental Health Care. Patients who choose a holistic dentist over a standard general dentist do not have to begin their dental care all over again. This type of choice simply means that you are taking control of your whole body health care beginning with a great smile. A holistic dentist offers many of the same services as a general dentist, but utilizes materials and products that are biocompatible. Removal of those mercury-filled amalgam fillings and porcelain crowns are two of the biocompatible procedures performed in holistic dental offices. Many holistic dental offices also work to minimize their impact on the environment, making them a green alternative to standard dentistry. The Kentucky Dental Association website is designed to give you the information that you need to ensure that your new holistic dentist is properly licensed and credentialed. This is an important step for anyone searching for a new Louisville holistic dentist. Just log onto the website and enter your new dentist’s name into the search box. View current licensing and credentials right online. You can also find this information by visiting the dental office prior to your first appointment. Just speak with the dental receptionist and ask to check out current licensing.